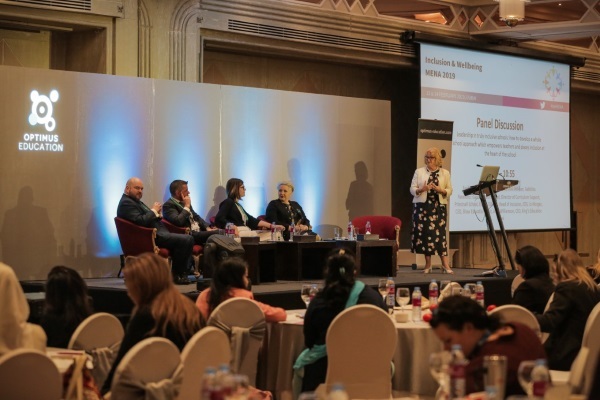 Inclusion and wellbeing in Dubai: Gareth D Morewood reflects on Optimus' first international conference. I am very fortunate to work with a number professionals, families and young people in the UK but also, more recently, abroad. You can read about one of my previous visits to Chile in this blog about developing inclusive practices from an international perspective. 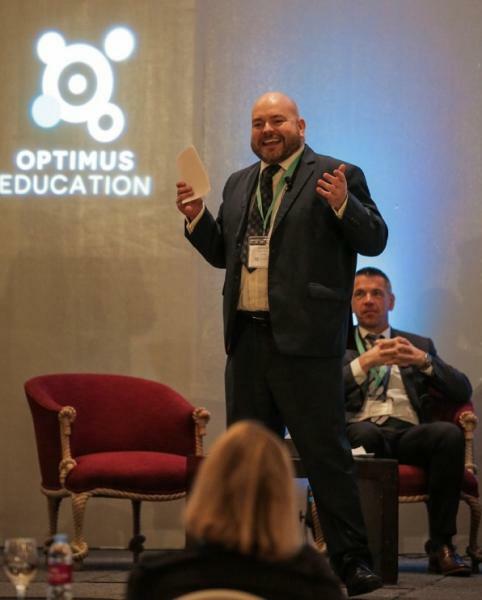 I have recently returned from speaking at Optimus’ debut event in Dubai, which was a fascinating first step in supporting new legislation around inclusion. 'People of determination' is how the UAE has chosen to view the attributes of disabled people, as reflection of their strength of character, their perseverance and their courage. This use of language is very interesting and something I continue to consider post-visit. In essence, the landscape in Dubai is changing. Schools are to be inclusive, as set out within their policy documentation. How did the event support Dubai’s new inclusion agenda? This inaugural inclusion and wellbeing event was held over two days, and had a really positive vibe. Delegates were really engaged with the content and alongside the main event, free workshops for other school staff allowed for a wider impact. Day one focussed on how to provide a fully inclusive culture in school. What does a whole school approach to inclusion look like? Providing a curriculum that meets needs and supports early intervention. Strategies to support staff to deliver high-quality, differentiated teaching. Moving away from labels and focusing on the strengths and challenges. Working positively in partnership with parents. Day two focussed on supporting wellbeing and mental health. Utilising positive psychology and positive education in the school environment. Understanding the needs of third culture children and the expat child. Using proven methods to respond to students with anxiety or depression. Supporting the mental health and wellbeing of staff. Building resilience and self-esteem amongst children and young people. My first input was as part of a panel debate about the leadership of inclusive schools. I have written about this recently in Great Expectations, David Bartram’s excellent book. My thoughts on ‘corporate responsibility’ as part of a whole school approach may not be how everyone views ‘leadership’ per se, however being inclusive shouldn’t be just about the young people. Surely it should be about the staff and families too? During the debate I suggested that ‘holding people to account’ may be the wrong language for truly inclusive systems. Three years ago I compiled a post with many contributors talking about inclusion and what it meant to them. This is why, in my view, any such philosophy needs to be rooted in policy (as the UAE have clearly set out). Although this is the start of a journey, after spending a few days in Dubai, I saw that there was a real desire and skill to ensure positive steps are made towards implementation. This is most definitely a ‘watch this space’ as things continue to move forward. Our 17th Annual SEND Update Conference takes place on Thursday 23 May 2019 in London. This conference will allow delegates the chance to take away practical strategies to help manage the increasing pressure on SEN departments, giving staff confidence in effective teaching to SEND pupils. My main focus at the event was delivering an hour long workshop from the new one-day course I have developed in partnership with Studio III. The workshop drew on the 'saturation model' (Morewood et al, 2011) developed by myself and colleagues as part of a whole-school approach to supporting autistic students in mainstream schools, combined with emotional regulation and low arousal approaches developed by Studio III (McDonnell & Deveau, 2018). the development of an understanding of stress, emotional regulation and arousal. This was very well received as part of the wider conference, but specifically with regard to the new policy regarding inclusion. During the event I was able to record a short interview with Dr Pooky Knightsmith summarising the approach. This was very much the starting point for new ways of working in Dubai and the UAE, and this inclusive journey will be one I follow with great interest. I hope that further posts from colleagues working within the educational system can share their experiences and learning. Morewood, G. D. (2019) Understanding Emotional Regulation in the Context of Whole School Inclusive Systems. INCLUVISION Magazine, published by JSS School, Dubai. McCreadie, M and McDermott, J. (2014). ‘Tuning In’ client practitioner stress transactions in autism. In G Jones and E Hurley, (Eds.) GAP: autism, happiness and wellbeing, BILD publications, pp24-31. McDonnell, A. A., Waters, T., and Jones, D. (2002). Low arousal approaches in the management of challenging behaviours. In D. Allen (Ed) Ethical approaches to physical interventions: Responding to Challenging behaviours in people with Intellectual Disabilities. Plymouth: BILD, pp. 104 – 113. McDonnell, A, A., McCreadie, M., Mills, R., Deveau, R., Anker, R., and Hayden, J. (2015). The role of physiological arousal in the management of challenging behaviours in individuals with autistic spectrum disorders. Research in Developmental Disabilities, 36, 311-322. McDonnell, A.A. (2010). Managing aggressive behaviour in care settings: Understanding and applying low arousal approaches Oxford: Wiley Publications. Morewood, G. D. (2018) in Bartram, D. Great Expectations: leading an effective SEND strategy in school. John Catt Publications. Woodcock, L., and Paige, A. (2010) Managing family meltdown. London UK: Jessica Kingsley Publishers.